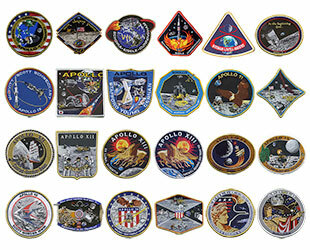 — Two artists who specialize in designing space mission patches have partnered with NASA's official embroidered emblem supplier to produce a reimagined set of Apollo insignias to mark the 50-year anniversaries of the moon missions. 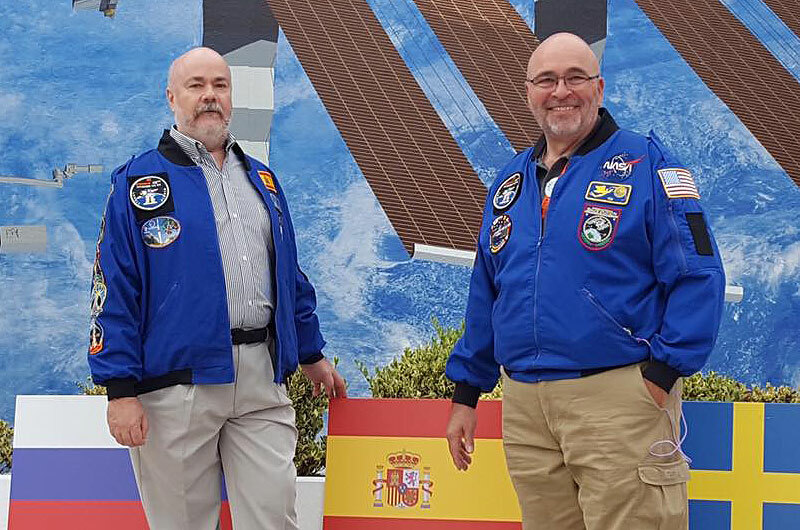 Tim Gagnon of Florida and Jorge Cartes of Spain, who for more than a decade have collaborated on creating almost two dozen of the patches worn by NASA space shuttle and space station crews, are now working with A-B Emblem of North Carolina to offer the new set of 24 emblems. 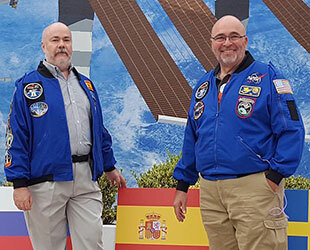 "To celebrate the magnificent accomplishment that was the Apollo program, Jorge and I began designing a special set in late 2015," said Gagnon, who is scheduled to talk about the patches at the annual Spacefest convention in Tucson, Arizona on Friday (June 9). The patches — which represent Apollo 1 in 1967 through Apollo 17 in 1972 — will be available from A-B Emblem's space patches website beginning on Wednesday (June 7). 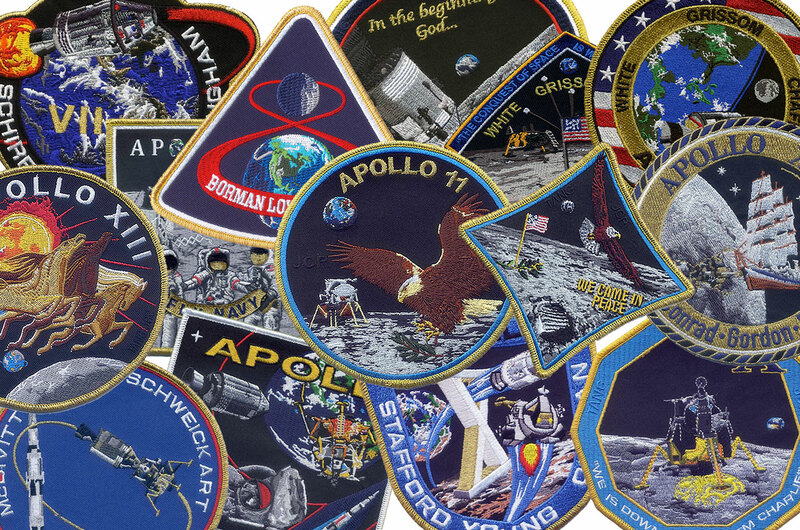 The company has been making embroidered patches for NASA and the Astronaut Office at Johnson Space Center in Houston since the early days of the Apollo-era. 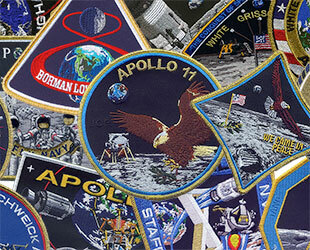 Gagnon and Cartes chose to honor each mission with two designs — one patch that pays homage to the artists who originally created the patches for the Apollo astronauts and a second emblem that highlights what made each mission unique. "We wanted to update the design of the mission patches, but also create a 'spirit' patch that captured the essence of each mission," explained Gagnon. As an example of their work, Gagnon described their two designs for the first mission to land humans on the moon. 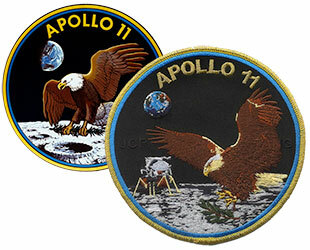 The original Apollo 11 patch was designed by the mission's command module pilot, Michael Collins, and rendered by NASA illustrator James Cooper. The artwork depicted an American bald eagle landing on the moon, an olive branch in its talons, with the Earth overhead. 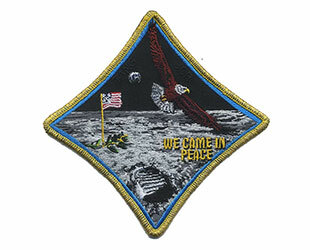 For their 50th anniversary commemorative patch, Gagnon and Cartes added the lunar module "Eagle" to the moon's surface and then revisited two elements that Collins' had intentions to change. In Collins' design, the olive branch was in the eagle's beak, but its outstretched talons were considered by too hostile an image and rejected by NASA. The compromise was to move the symbol of peace to the bird's claws. On the new patch, the olive branch is falling to the surface. "Our take on the crew patch was inspired by conversations with Mike Collins," said Gagnon. "I remarked that I thought it was overly sensitive of NASA management to insist the eagle carry the olive branch in its talons." "Collins replied that he hoped that the eagle would let go of it before touching down," Gagnon recalled. Gagnon and Cartes also updated how the original patch depicted Earth, correcting the orientation of the terminator separating day and night. "I added a small Earth in the background and drew the sunshine coming from the wrong direction," Collins wrote in his 1974 memoir, "Carrying the Fire," noting his error. 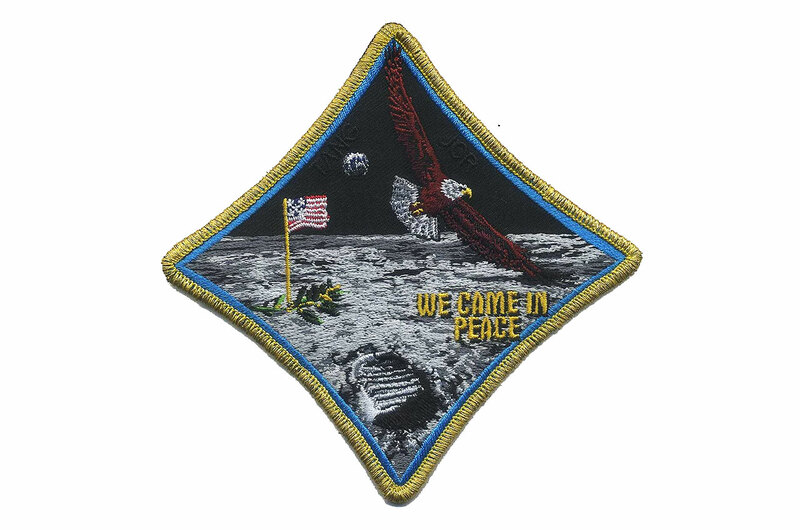 For their companion Apollo 11 "Spirit" patch, Gagnon and Cartes designed a diamond-shaped emblem that displays the American bald eagle swooping over Tranquility Base, where a U.S. flag, olive branch and footprint "indicate that it has been visited by mankind." Most of the other updated mission patches follow a similar design approach. Gagnon and Cartes began with the original artwork and then replaced any depictions of spacecraft (or the Saturn V rocket) with a more true-to-life rendering — or, if one was not present, added an Apollo command module or lunar module to the design. The artists also substituted the Earth and moon with more photo-realistic versions. "Each mission is celebrated with an updated crew patch that imagines the viewer seeing the spacecraft or scene as depicted in the official artwork as if they were there," said Gagnon. 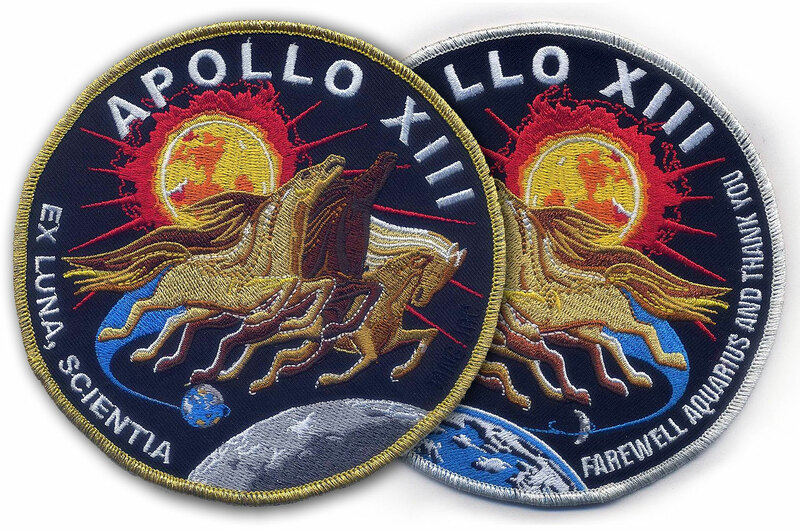 For their Spirit patches, Gagnon and Cartes chose designs that featured mission highlights, such as the camaraderie among the all-Navy Apollo 12 crew and the golf ball hit off the moon on Apollo 14. 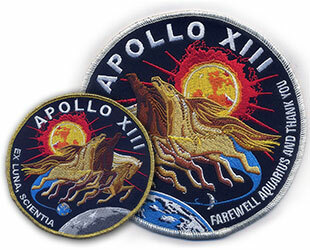 The standout exception is the Apollo 13 Spirit patch, which mirrors the original crew patch to represent the "successful failure." The "Steeds of Apollo" are shown heading back to Earth from the moon. "This was the most clever of the set," stated Gagnon. 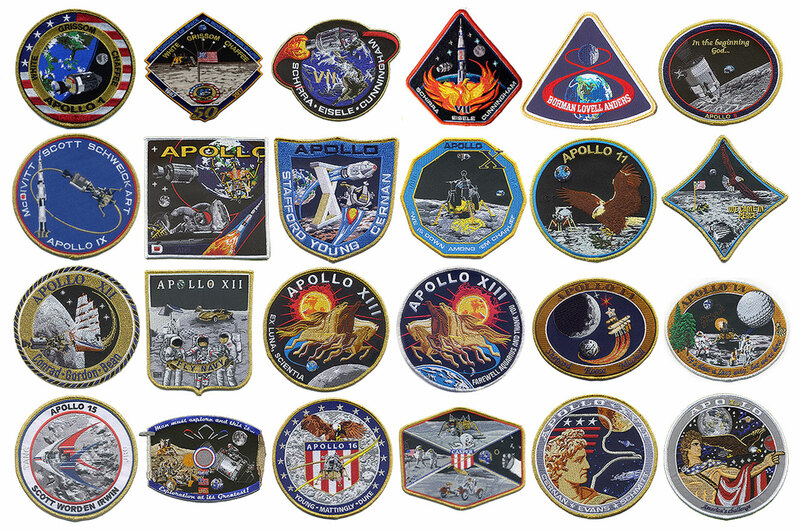 All 24 of the patches are trimmed in metallic gold thread, a nod to the Apollo missions' golden anniversaries, and are 5 inches (12.7 centimeters) across. There are also two larger "jacket back" patches. A 12-inch (30 cm) emblem that symbolizes all of the Apollo missions and an 8-inch (20-cm) patch that reproduces the Apollo 17 Spirit patch art. They are $45 and $20 each, respectively. "Our overall goal was to illustrate the pride we felt being able to witness the missions," said Gagnon. "We wanted to honor everyone who was involved in the Apollo program, who demonstrated that we could do the impossible if we set our mind to it." 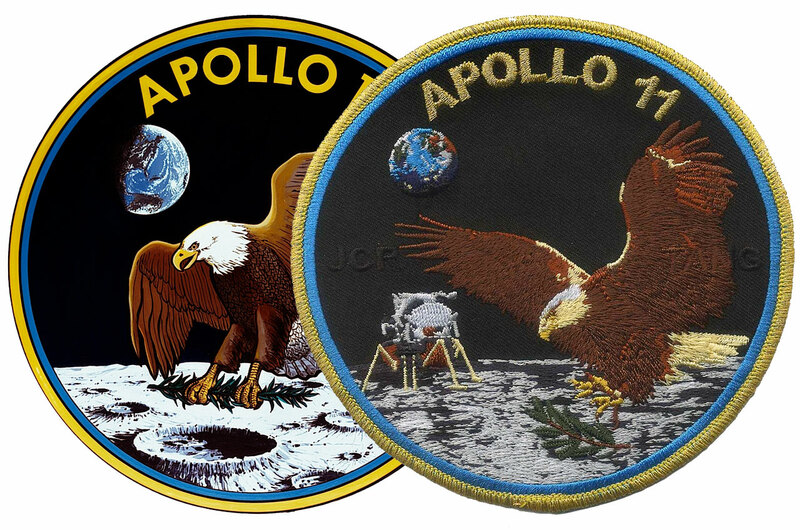 Tim Gagnon's and Jorge Cartes' Celebrate Apollo patches will be available beginning on June 7 from A-B Emblem for $10 each, with the exception of the Apollo 7 "Spirit" patch, which is available through astronaut Walter Cunningham's website.